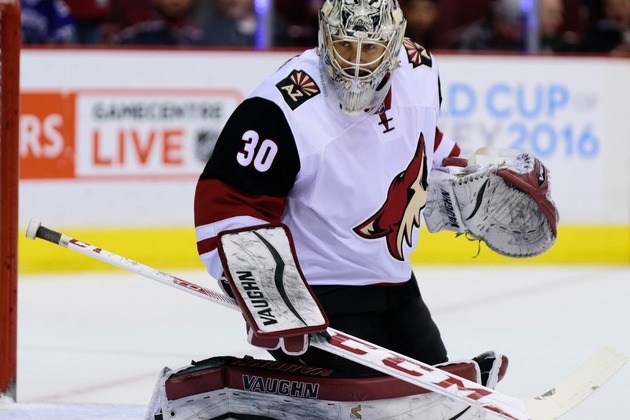 The Arizona Coyotes assigned goaltender Marek Langhamer and defenseman Joel Hanley to Tucson of the American Hockey League, the team announced Tuesday. In his lone appearance this season, Langhamer turned aside all 10 shots he faced versus the Vegas Golden Knights on Nov. 25. Langhamer has recorded a 1-0-2 mark with a 1.59 goals-against average and .947 save percentage in three games this season with the Roadrunners. The 23-year-old Czech was selected by the Coyotes in the seventh round of the 2012 NHL draft. Hanley did not record a point in four games with the Coyotes this season. The 26-year-old Ontario native notched four assists and two penalty minutes in nine games this season with Tucson.